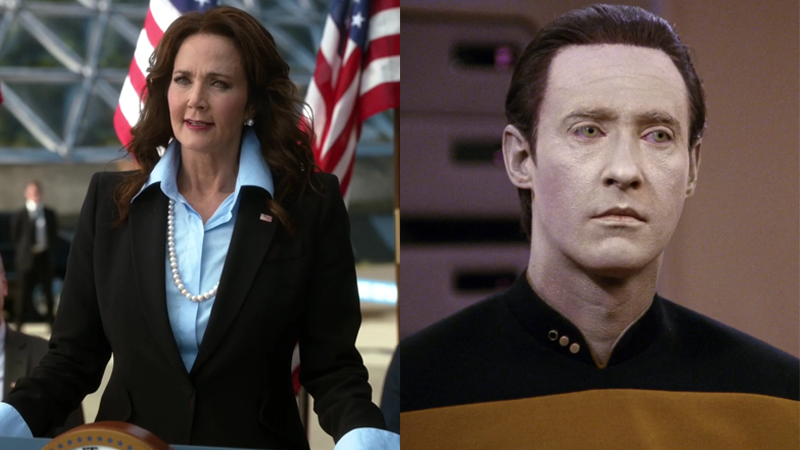 President Lynda Carter just got a new running mate. The CW has confirmed that Brent Spiner—beloved for his role as Star Trek: The Next Generation’s android officer Data—will join Supergirl’s fourth season in a recurring role as Baker, the Vice President to Lynda Carter’s President Olivia Marsdin, first introduced in season two. According to Comicbook.com, however, there are hints in this casting that President Marsdin might not be around for much longer—VP Baker’s character bio describes him as “adept and politically minded,” and tellingly “makes for an unlikely leader, but steps up in a big way when his country needs him most.” That sounds an awful lot like President Marsdin could go through events that require her VP to step up and take her place, whether it’s through political shenanigans or, being Supergirl, superpower shenanigans. It was revealed at the end of season two that Marsdin was actually a shapeshifting alien in disguise, and given that the next season is introducing some anti-alien groups, maybe she becomes a target? It would make sense, but would also definitely be a shame, considering just how great it is to have “Wonder Woman” sharing the small screen with Supergirl. We’ll have to wait and see. 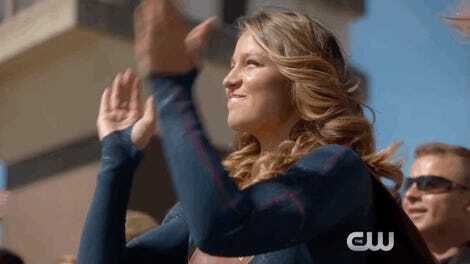 Supergirl is set to return to the CW this October.